Most of us have experienced a check engine light appearing on the dashboard out of nowhere. That little red/orange light is an early alert that something is happening under the hood. It’s not the time to panic, but you should definitely take action as soon as possible. That means bringing your vehicle to Advanced Diagnostics Auto Care & Maintenance in Olmsted, OH. Our ability to analyze your engine’s condition and find the source of the problem is even in our name. This early alert meant to give you enough time to seek professional help. Just because there may not be any other visible or audible symptoms doesn’t mean that your vehicle is not experiencing a serious malfunction. That solid light is telling you that your vehicle needs service as soon as possible. Delaying service or ignoring the check engine light could end up doing extensive and expensive damages to your vehicle. The number of possible problems is vast so owners should never assume they know why the check engine light has come on. We discourage all amateur mechanics from self-diagnosing their vehicle without the proper diagnostic equipment. Sometimes even professional technicians will misdiagnose a check engine light because they lack the necessary experience. The check engine light could actually be nothing! For instance, it could be caused by a loose gas cap. That’s a service for which we don’t even charge our customers. You might even want to pull over at the gas station and check the gas cap. If it’s tight, and the dashboard light disappears, you’re good to go! See you during your next oil change service. But, if you still have that annoying check engine light, there’s no time like the present to get it taken care of. The original light will be solid, and this should be considered a “grace period.” If you continue to drive your vehicle without bringing it to Advanced Diagnostics Auto Care & Maintenance, you will eventually have a blinking check engine light alert. At this point, the grace period is officially over. Your vehicle is on the verge of breaking down completely, and you could end up on the side of the road. We want all drivers to know that this situation can be avoided entirely. All you need to do is be proactive and bring your vehicle to us first. Before you trust your vehicle’s diagnosis to yourself or any other repair shop, come to the experts at Advanced Diagnostics Auto Care & Maintenance. Our special technicians will have you in and out in no time, fully diagnosed and fully repaired. 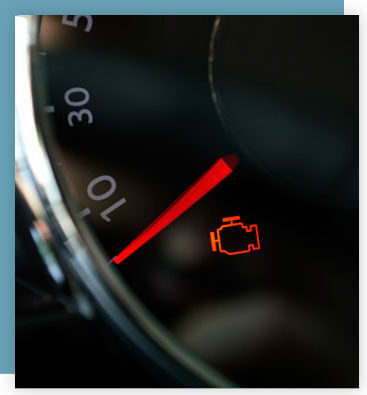 Bring your vehicle’s check engine light to us as soon as possible. Your vehicle will benefit from your quick response time. And it may suffer from a slow response time. The vehicle was designed to give you plenty of time to get your engine checked out. The more you delay, the more damage you could be doing to your engine. Owners can spare themselves expensive parts replacements just by getting the issue resolved. Give us a call today at 440-360-7711 to schedule your check engine light repair. You can also use our convenient online scheduling system right now!